Alterations Answers - How Do I Keep a Strapless Dress from Falling Down? We are so excited to be kicking off our new series "Alterations Answers" today! We know that the process of getting your bridal gown altered can be super overwhelming. Our bridal stylists are very knowledgeable about many alterations details, but we know, sometimes you just want to get an answer from a professional! So we have teamed up with our friend and expert seamstress Donna from Donna Beth Creations in Denver to answer some of your most frequently asked alterations questions. Every Friday for the next few weeks we will share a video of Donna giving you expert advice on everything from bustles to customization to today's topic, "How do I keep a strapless dress from falling down?". If you love the look of a strapless wedding dress, but don't want to be doing "the dress tug" all night at your wedding, listen to Donna's suggestions and then talk to your bridal seamstress about your dress alterations to make sure you've got the proper construction in your gown. 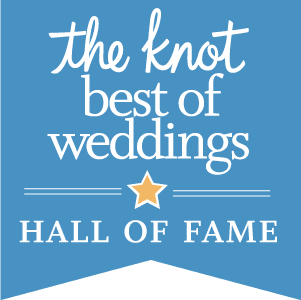 If you live in the Phoenix, Denver, Las Vegas or LA areas and need a qualified bridal seamstress we'd love to pass along our referrals to you! Contact the Brilliant Bridal nearest you for more info.